This page is dedicated to cooking your catch and those special cooking secrets to make your fish taste fantastic! 3. Add the mackerel fillets and coriander and cook til skin is "seared"
4. Add the tomatoes and lemon juice cook for 2 mins then add half a cup of water and continue for 5 mins more or so until fish is cooked all the way through. 4. Mix the butter, garlic, lemon rind, tarragon and salt and pepper together into a "paste"
6. Put some baking paper over a baking tray, drizzel it with the olive oil and lay the stuffed mullet onto it. 7. Drizzle the white wine over the fish and parcel it up in the baking paper, leaving 2-3 inches room above the fish. 8. Put onto the middle shelf of the oven and cook for 15 minutes. 9. When you unwrap the parcel, the skin and scales should easily peel back and the meat should just slide off onto your fork. Serve with some nice crusty bread which is great dipped in the juices. Comment: Cream Baked FishGood for several smallish fillets. Fry fillets in light batter. Arrange slightly overlapping in shallow baking dish. Pour over Single or Double cream covering fillets. Bake @ 200C until cream starts to brown. Remove, cool slightly and serve.Good with minted new potatoes, veg of choice and/or grilled tomatoes. Comment: Smoked Fish Pâté Part 1Good for Mackerel+other oily fish. Turns bland fish into a treat& excellent for Trout.Equipment:Old large Saucepan+Well fitting LidCake Stand/steel mesh/grid to fit inside saucepan3-4 spacers (old metal egg cups,or anything to support the grid 1/2 way up saucepan.1 heaped Tbsp of UNTREATED fine wood sawdust (tree felling sites) or a bought smoke dust.Salt.Clean fish, split open, no need to fillet,sprinkle salt, allow to infuse ± ½ hour.Part 2 follows.. Comment: Smoked Fish Pâté Part 4Add Hellmann’s or other mayonnaise or Salad Cream to taste and follow with your choice of chopped capers, gherkins, or dill if desired and chill for an hour or so.Serving:1. Serve the Pâté on crackers or Melba toast and enjoy, or,2. Spoon into individual pots, small ramekins or bowls, push down firmly and pour over melted butter to seal. Refrigerated the Pâté will last several days, serve well chilled as a first course, with canapés or as a picnic snack. Enjoy! 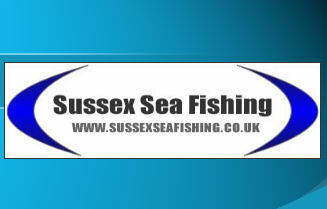 Sussex Sea Fishing takes no responsibility for the recipes added and the time scales for cooking the fish/meats as these are posted by visitors to the site.